Between August and November 2018 we shall be marking the centenary of the Armistice in a variety of different ways around the community. For further information about these please select the + icon beneath each of the following items. 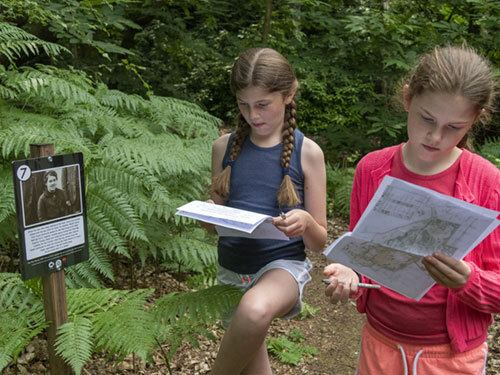 The Platt Woods WW1 History trail has now ended, and we thank you for your kind words about what became a popular activity for people of all ages in Platt over the summer months. We hope you enjoyed the trail and would like to thank the Platt Fundraisers and Platt Woods Management Committee for making this possible. 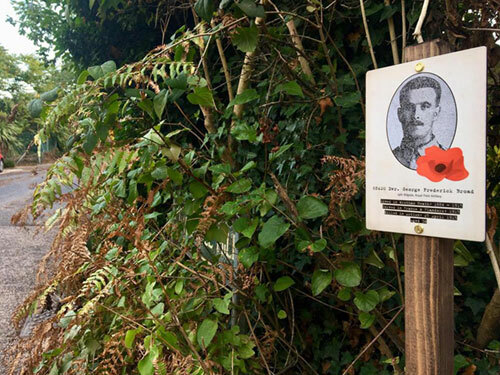 From 8 August, and then every second day for 100 days, we shall be ‘bringing home’ the 49 Platt men commemorated on our WW1 memorial and erecting a small metal plaque featuring a photograph or cap badge of each outside, or near the house where they lived before the war. The starting date coincides with the Battle of Amiens, which subsequently marked the final stages of the war, and the tributes will be put up in the order that each man lost his life. 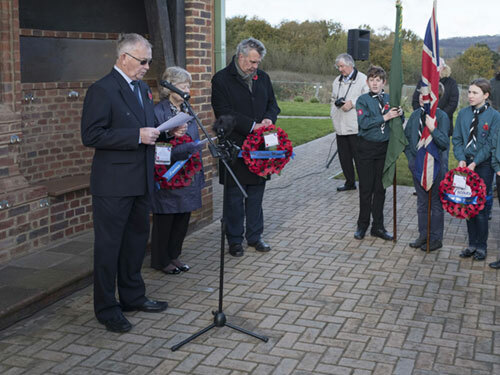 On 10 November we shall collect all the plaques and arrange them in the hall gardens in time for Remembrance Sunday. After this, they will be on permanent display inside the hall. In addition to the Platt Fundraisers for making this project possible, we are very grateful to the residents who have agreed to have the plaques outside their houses. 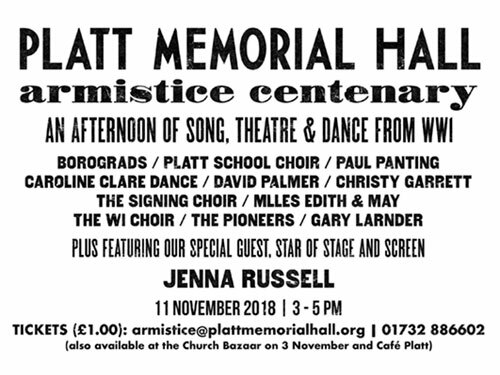 The Armistice Celebration will be held at the Memorial Hall and features locals of all ages performing songs, theatre and dance from the First World War era. We are also thrilled to announce that Olivier award winner and Tony-nominated star of stage and screen Jenna Russell will be joining us for the afternoon and performing with one of the acts. Tea and coffee will be made available, and there will be the ceremonial cutting of a special Armistice cake made by Cathy Collyer. As we are stepping back in time to 1918 for the afternoon tickets are 3d each, however, for your convenience, this translates into £1 in today’s money. Tickets must be booked in advance either by calling Scott (01732 886602) or via email (scott@plattwarmemorial.org.) They will also be available to purchase at the Church Bazaar (3 November), at Café Platt and on several days in the school playground during the two weeks leading up to the event. In the week leading up to Remembrance Sunday we have been given permission from Lionsgate Films to show the film version of R.C. Sherriff’s play ‘Journeys End’ which stars (among others) Asa Butterfield, Sam Claflin, Paul Bettany, Stephen Graham and Toby Jones. Set in the trenches around the time of the German Spring Offensive began in March 1918 the film is a powerful (and reassuringly faithful) adaptation of the stage production first performed in 1928 that starred a young Laurence Olivier. 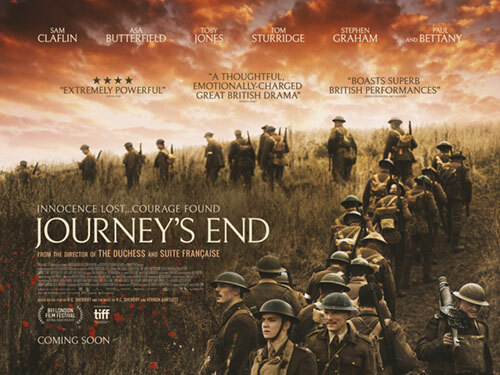 We shall be screening the film over three nights (5th, 7th and 9th November) with booking available at: https://www.eventbrite.co.uk/e/journeys-end-film-screening-tickets-50191548272. Over the coming months, The Royal British Legion is leading the nation in saying Thank You to those who served and sacrificed during World War One and inviting families, community groups and individuals to do this in whatever way they think appropriate. We would like to invite you to the hall where we will be setting up a small photographic studio in the committee room where you will be able to have a professional portrait made holding something belonging to, or related to, a family member who served in World War One you would like to thank. This could be an old photograph, medals or an item of uniform etc. and the person does not necessarily have to be someone from the military, they could have been active on the home front such as a munitions worker, VAD nurse or land army girl. We would like this to become a historical record of the people living in our community 100 years after the guns fell silent and our country began the journey to what it is today. The studio will be set up to accommodate one or two individuals in each portrait, however, if you have more people in your family who would like to express their gratitude we would be happy to photograph each individually. We currently have two dates (with a third booked provisionally if demand requires it) of the evening of 19th October (from 7:30 pm) and the morning of the 20th (from 10 am.) 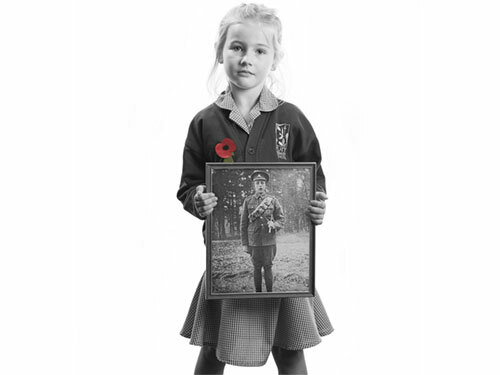 For more ideas of the sort of thing you might like to bring along, and the basic details we would need for each person you are remembering, please see our 2014 project with the children of Platt School: www.plattmemorialhall.org/centenary-book There will be an opportunity to buy prints of each portrait for a small fee to cover production costs, and then hopefully, a commemorative book, which you will also be able to purchase. For further information and queries please contact Scott Wishart at scott@plattwarmemorial.org or on 886602. 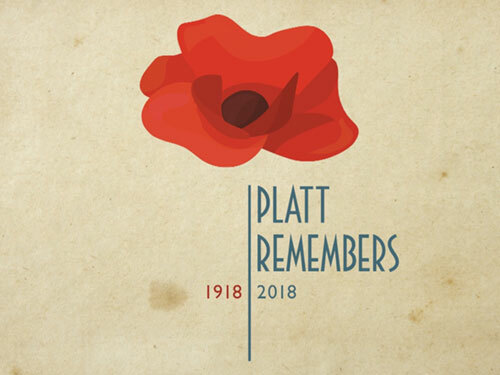 This year’s event will be taking place as usual at the Memorial Hall at 10 amfollowed by the annual service at Platt Church, however, as it is the anniversary of the end of the First World War anyone who attends both or either will receive a special commemorative ‘Platt Remembers’ booklet. 12 – 6 pm: Local First World War Exhibition and Platt Stitchers display of WW1-themed designs in the committee room. Admission is free. 4 – 5 pm: Reading of all the names of Platt men and women who served in WW1 outside the Memorial Hall at sunset (subject to weather.) There are 200 names, and anyone who would like to read a block of ten names should contact Scott on 01732 886602 or scott@plattwarmemorial.org. 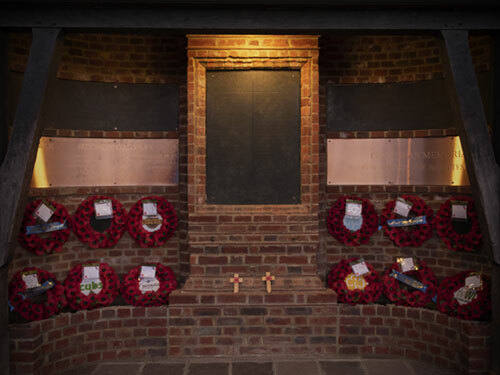 At the same time, all the Platt soldier tribute plaques currently outside their old homes (at the time of writing there are 35 with another 14 to go) will have been brought to the hall gardens and individually illuminated after dark. 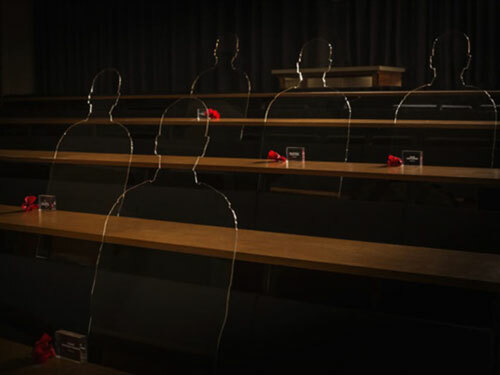 In July the Parish Council made a successful grant application to the Armed Forces Covenant Fund Trust for an installation of four ‘There But Not There’ silhouettes. These will shortly be visible in the church, school and at the Memorial Hall.